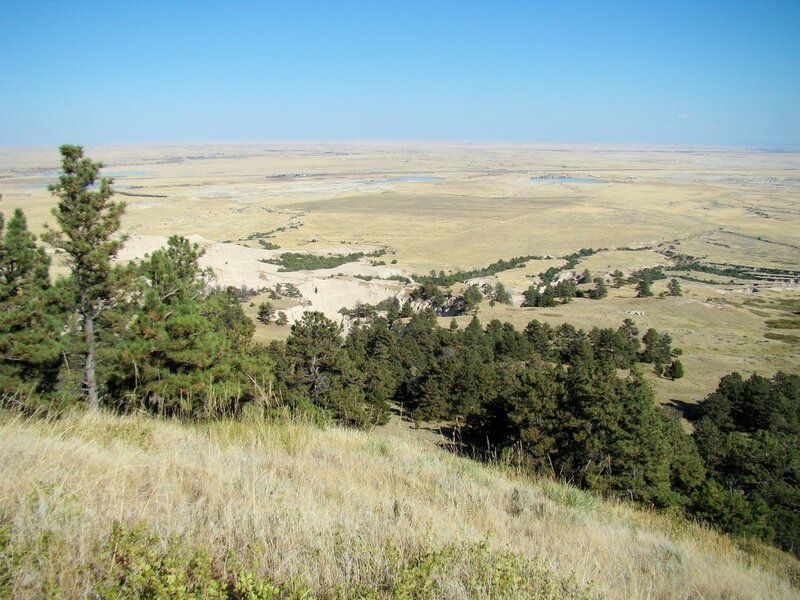 Even though Roundtop Peak does not have a great deal of prominence, it's location away from the closely-packed ridge systems of the Pine Ridge, makes it visible for many miles away. 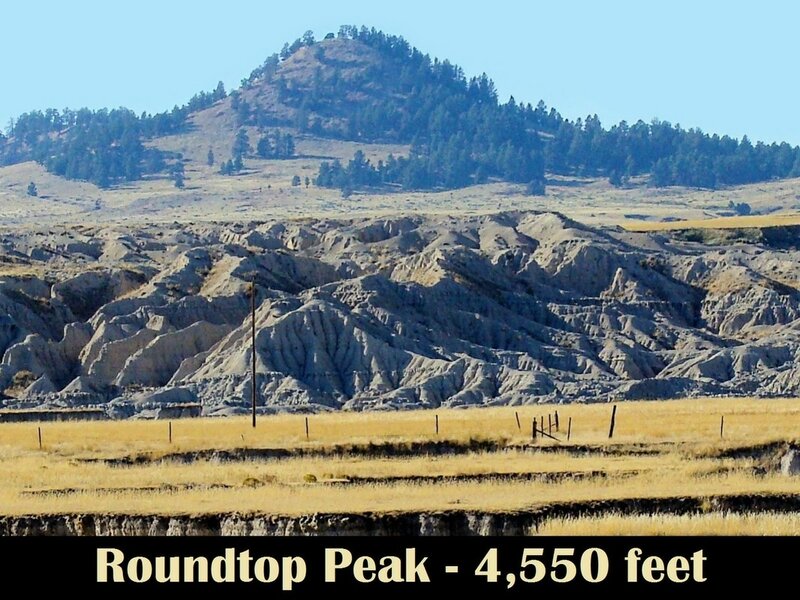 It is an easy peak to reach the summit of, and visitors will be amazed at the great views of the badlands of Toadstool Park and Cedar Canyon to the north, and the Pine Ridge forests and peaks to the west and south. 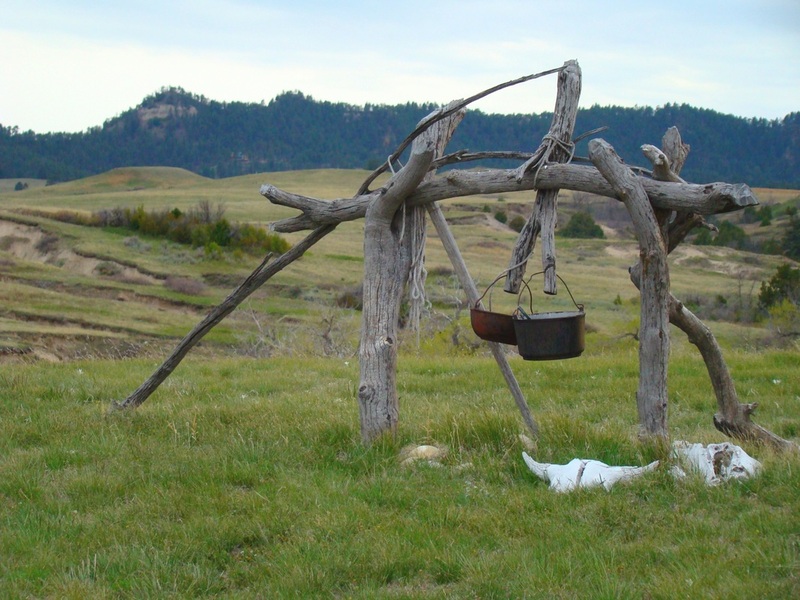 To get to the Roundtop access point, go north from Crawford, Nebraska on Highway 2 & 71. 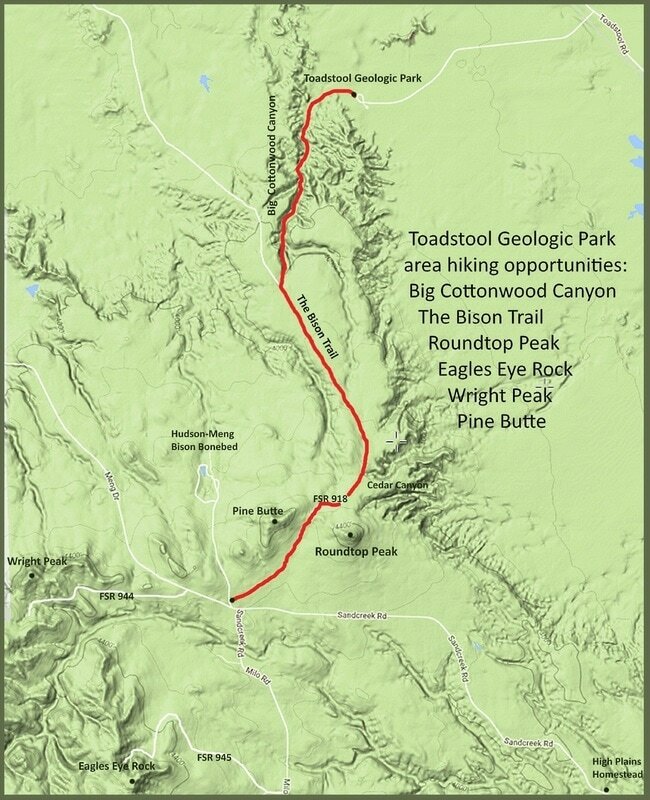 The Toadstool Road turnoff is just over 4 miles north, and is well-marked. It goes straight west for 2 miles then sharply turns north-northwest. Six miles from the turn is the turnoff road for Hudson-Meng, and is shown on many maps as Sand Creek Road. 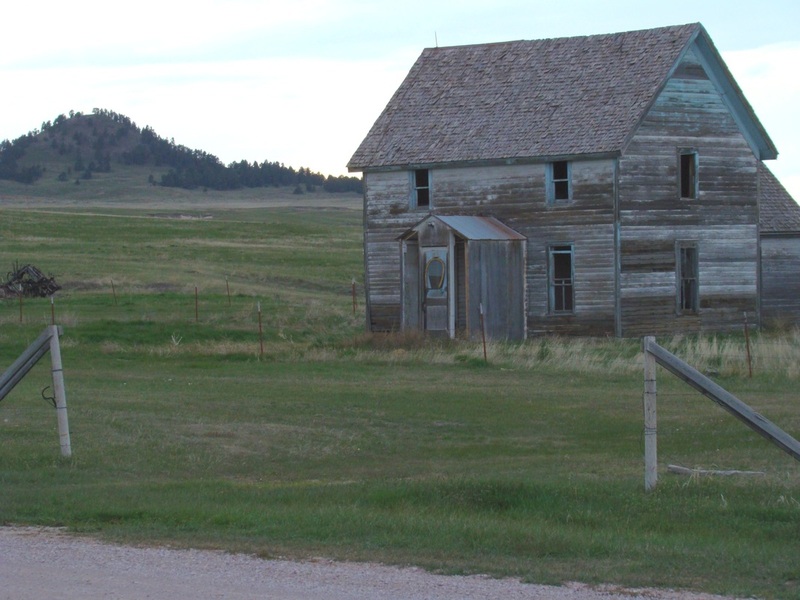 That road is well-maintained and well-marked. 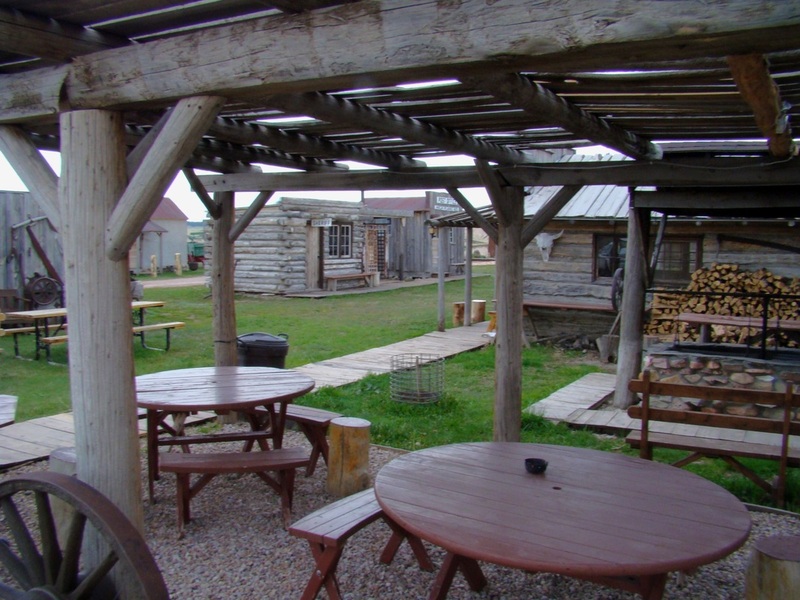 On the edge of the badlands south of Roundtop Peak, travelers will find the very tiny and old community of High Plains. 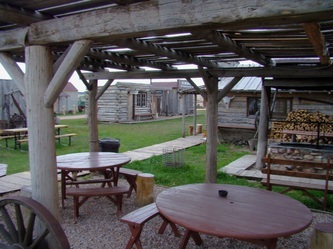 Shown below, is a panorama of the town and views in the town. 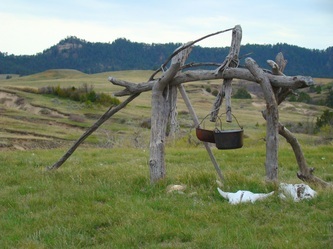 There is a great restaurant and small hotel there - great for explorers and hikers of any of the nearby attractions, like Roundtop Peak, Pine Butte, Eagle Eye Rock, Wright Peak, Toadstool Park, Cedar Canyon, Sand Creek Canyon, Dirty Creek Canyon, or Hudson-Meng Bonebed.